This sweetpotato cake batter is enriched with almond flour, which offers a nutty flavor and a pleasant texture. Using several types of fruit for a cobbler lends nuance to the wholesome dessert. Arrange a rack in the lower third of the oven and preheat it to 350°F. Toss the strawberries, raspberries, blackberries, and stone fruit in a 13x9x2-inch baking dish. In a small bowl, stir together 1/2 cup of the sugar and the cornstarch until the mixture is well blended. This simple act will ensure that the cornstarch is distributed evenly and gently thickens the fruit juices. Sprinkle the sugar mixture over the fruit, then toss it again to coat the fruit evenly. Let sit while you make the batter. In a small bowl, stir together the flour, almond flour, baking powder, and salt. In a large bowl, beat the butter and 1/4 cup of the sugar until pale and fluffy, about 2 minutes. Add the egg and beat to combine it fully; then beat in the sweetpotato puree and lemon zest. Add the dry ingredients, beating just to incorporate and form a stiff batter. Drop 6 to 8 heaping tablespoonfuls of the batter evenly over the fruit. Sprinkle the batter with the remaining 1 tablespoon sugar. Set the cobbler on a rimmed baking sheet. Bake the cobbler until the center is bubbly and the cake is risen and golden, 30 to 35 minutes. Let cool for at least 30 minutes before serving. Tip: You can also make small tea cakes with this batter and a couple cups of whatever fresh berries are in season. Divide the batter among 12 greased standard muffin cups and top each with a few berries. Bake at 350°F for 20 to 25 minutes. 1. Place the nuts and spices in a food processor and pulse until the nuts are finely chopped. 2. Roughly chop dates and apple slices and then add to the nut mixture and continue to pulse until the mixture starts to come together. 3. Add the mashed sweetpotato mix until a dough forms. 4. Roll the mixture into balls and chill in the refrigerator for at least 30 minutes or until they become firm. Store in the refrigerator. Looking for a sweet summer snack that can double as dessert and won’t overheat the kitchen? 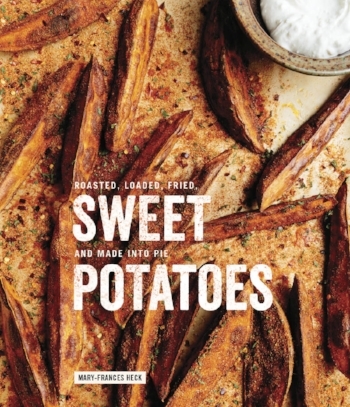 Try these No Bake California Sweetpotato & Apple Bites courtesy of The Zest and Zeal. These sweet bites are so easy to make and are even sweeter to eat!